Retinol is the ingredient most likely to make a major visible improvement in your skin. Few skin care ingredients have been as extensively studied—and proven—as retinoids. This vitamin A derivative has skin benefits that range from improvement in visible signs of aging to reduction in acne and brown spots. Over the counter retinol products work as both treatment and prevention of the visible signs of aging skin. The primary effect of retinoids is increased skin cell turnover. Our skin cells are constantly multiplying and sloughing off, about every 30-35 days. When retinoids are introduced to the skin, damaged cells are eliminated and replaced with healthy cells more quickly. Secondarily, retinoids stimulate the formation of new collagen in the upper levels of the skin thus resulting in increased firmness and smoothness. Retinoids can also reduce the activity of melanocytes, the cells that produce unwanted pigment in our skin (e.g. melasma, hyperpigmentation). Side effects such as irritation, redness or skin flaking may accompany the benefits of retinol, but they can be managed. To acclimate the skin, start with a low-concentration retinol or retinoid, and gradually build up the concentration over a few months. If you have very sensitive skin, you can always start using it twice a week at night, then build up a tolerance to eventually be using it nightly. Remember, you can always cut back in concentration or frequency if you start to develop irritation. The good news is, the irritation is never permanent, but the benefits of retinoids are long lasting. As with any method of skin exfoliation, retinoid use can make skin more sun sensitive, so diligent use of sunscreen with SPF 30 or greater is essential. When applying retinoids to the face, it’s also important to take care around the eye area. I recommend applying an hour or two before bedtime, as applying right before bed may cause the product to migrate too close to the eye, especially when sleeping on one’s side and then causing eyelid irritation. Many of these are marketed as “deep wrinkle creams” giving the impression they exist only to treat women with established lines. But retinol creams work wonderfully as a preventative measure. 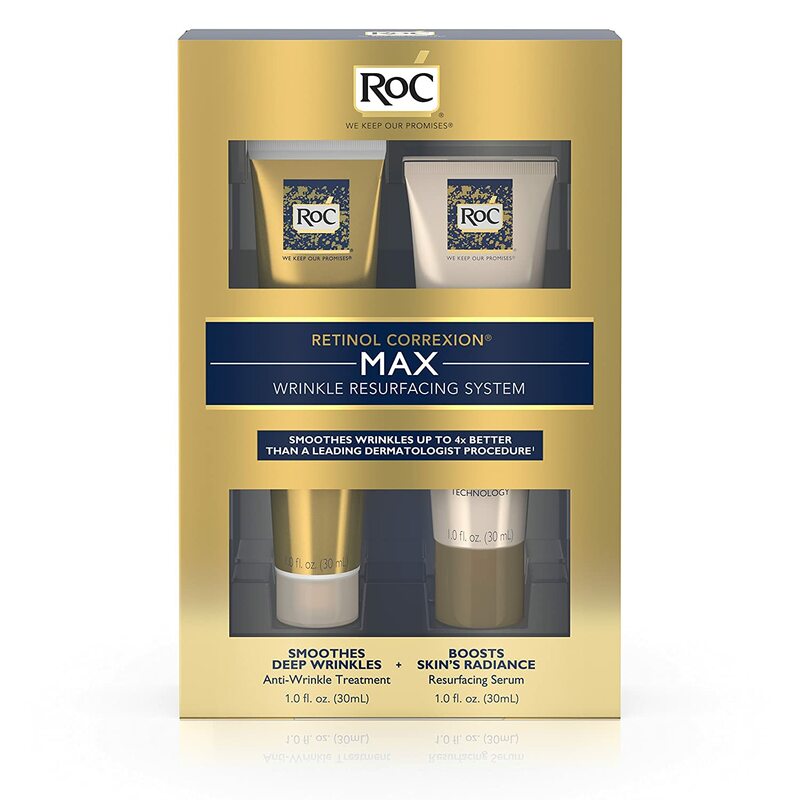 If you are starting out on a new retinol program, RoC’s Deep Wrinkle Night Cream is a good first product for newbies. Retinoids can cause redness and scaly skin at first as it sloughs away the top layer of skin (anyone who has tried Retin-A knows this), so a mild retinoid is a good starter cream. 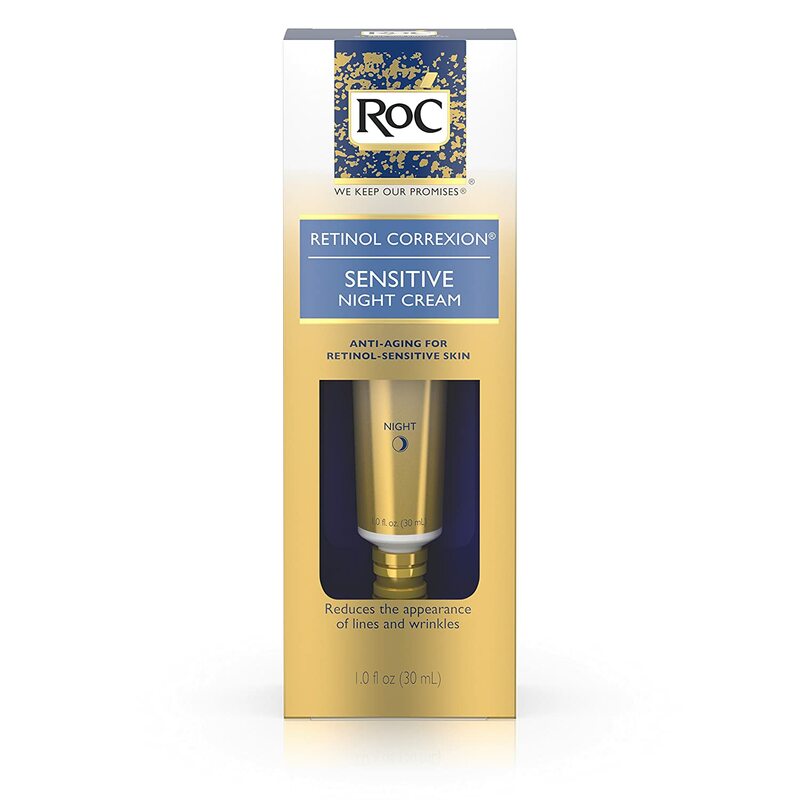 This sensitive night cream is less potent than other OTC products listed here and is a good start because your skin can get used to the active ingredients. Once you’ve adjusted, you can move on to more potent formulas, like RoC’s Deep Wrinkle Night Cream. 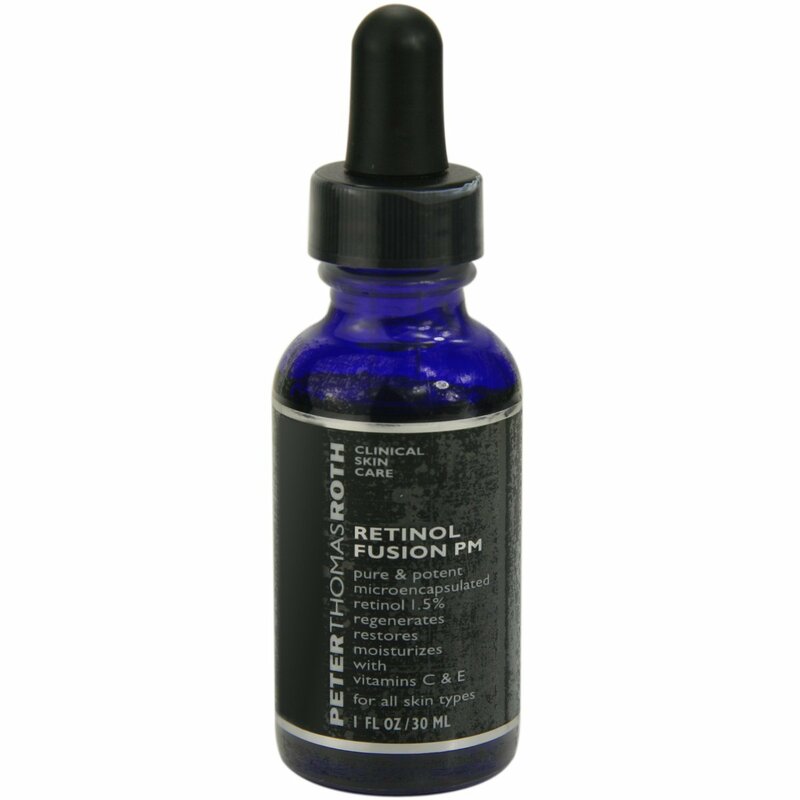 One of the most beloved retinol creams is Peter Thomas Roth’s Retinol Fusion PM. It contains 1% retinol plus a host of extras, which is always great when buying a retinol. Those extras include shea butter for hydration (since we know by now that retinol can be drying to the skin) and vitamins A, C and E. There’s also caffeine to help with puffiness. It’s recommended to start with the .25% product and then move your way up to the 1% if needed. Your skin needs time to adjust to the retinol. NeoCutis Nouvelle+ is an excellent product for most skin types because it contains not only a good dose of retinol but a nice mixture of antioxidants (vitamins C and E) and it does not include added fragrance. Because it contains .6% retinol, it’s not for sensitive skin. If you suffer from redness or rosacea you likely shouldn’t be using retinols anyway because it will simply be too harsh on your already super sensitive skin. This Algenist Retinol Serum is chock full of antioxidants and peptides along with the retinol that’s necessary for cell turnover in skin. While pricey (you can certainly buy other products for less), the added benefits and the fact that a few drops per night is all you need, make this a great buy. 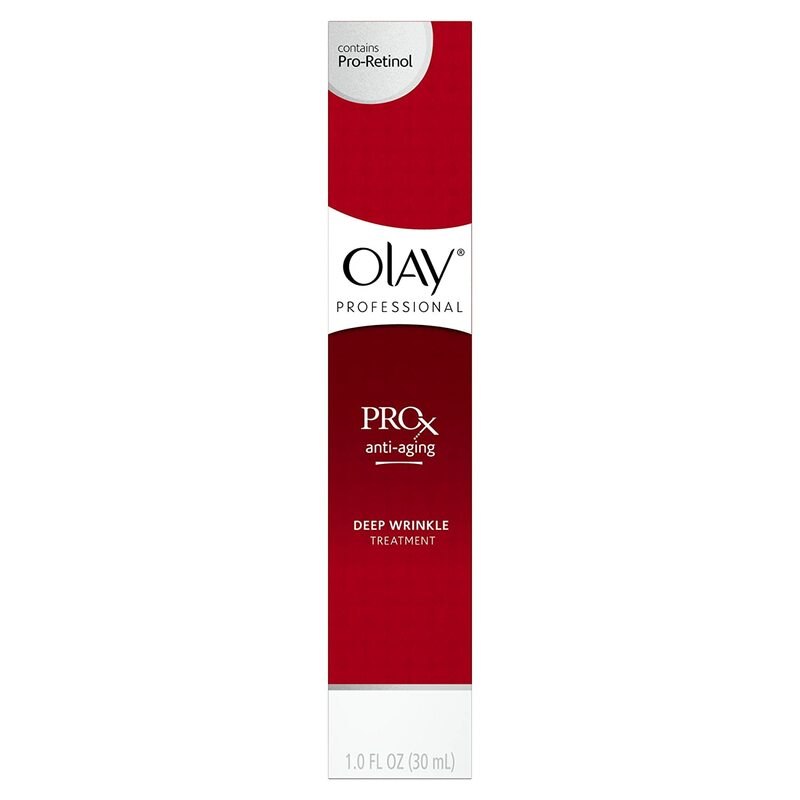 Another retinol from Olay that’s a bit less expensive is Olay Regenerist Intensive Repair Treatment. Paula Begoun has been around for ages, first as the self-described “Cosmetics Cop” with several books and a huge online following. She has since parlayed her fame into her own brand of products. Her retinoid creams get great reviews online. 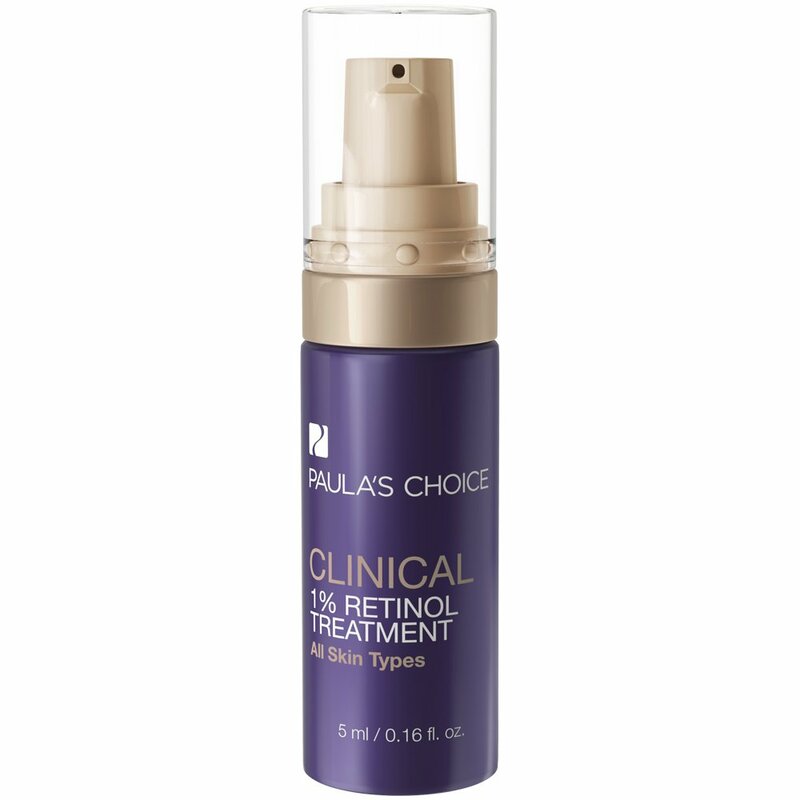 This Clinical 1% Retinol Treatment has licorice, oat extract and other anti-irritants help to minimize the side effects many people experience with retinols. 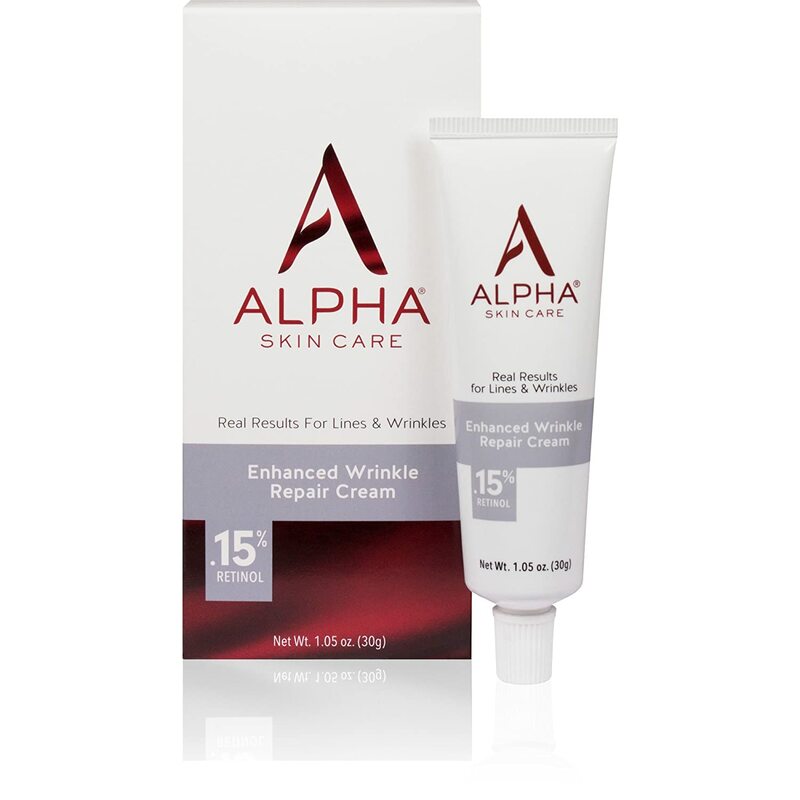 This Alpha Skin Care Enhanced Wrinkle Repair Cream is an incredibly mild retinol cream containing only .15% retinol plus a host of fabulous antioxidants including vitamins A, C and E. It’s also very affordable, making it a great choice for women with sensitive skin or concerns about using retinol creams. 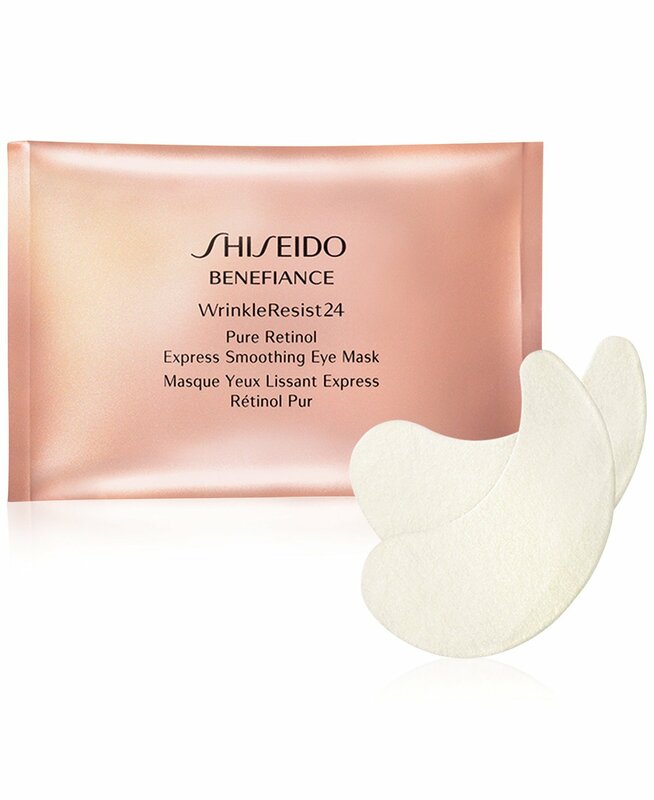 People swear by these Shiseido Benefiance Eye Masks despite the hefty price tag. Reviewers swear they leave their under-eye areas much brighter (see reviews). You have to apply and leave them on for 20 minutes and for this reason (along with the price) many people use them only for special occasions, such as before a wedding or event. It’s not clear how much retinol is in the formula. Another con is that these have been tested on animals. 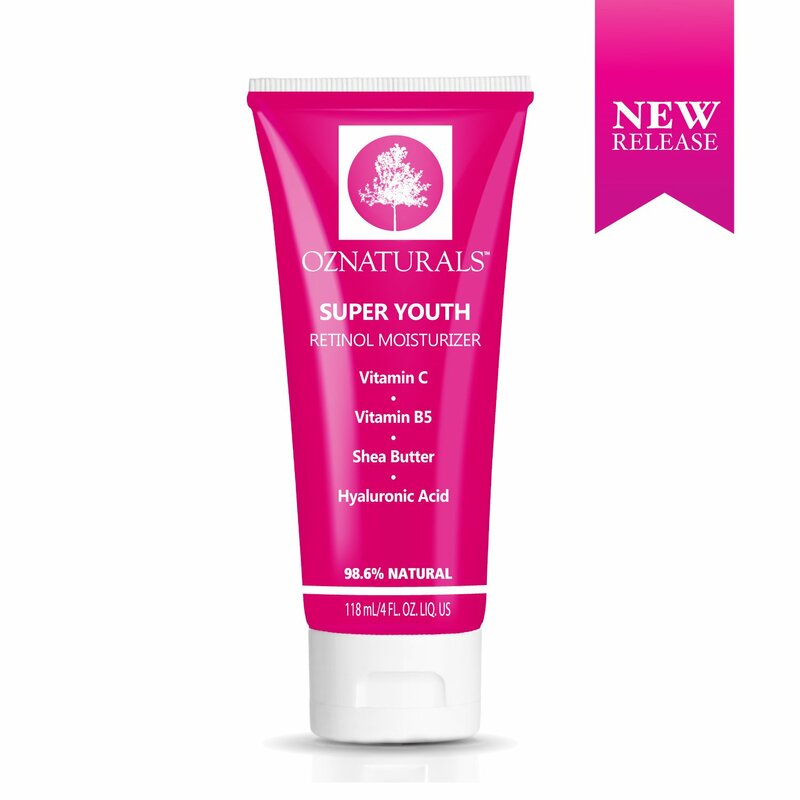 This OzNaturals Super Youth Retinol Moisturizer is packed with amazing ingredients, including 2.5% retinol, Hyaluronic Acid, and Vitamin C. All of these in combination increase cell turnover and plump up the skin. I like that the ingredients are all-natural and cruelty-free. This is a beloved and fantastic OTC retinol product and it’s well-priced, too. On a personal note – for sunscreen, I like Avene SPF50 plus Light Hydrating Mineral Sunscreen. I have extremely sensitive eyes, and cannot use sunscreens with chemicals in them; even if I don’t put the products around my eyes, the “fumes” from the product on my face can irritate my eyes! This sunscreen uses titanium oxide and zinc oxide as its active ingredients, and helps calm and protect sensitive skin types prone to breakouts, rosacea and discoloration. Very lightweight and silky, it may be worn with makeup or alone. It is fragrance free, oil free, and paraben free. This is a cosmetically-elegant mineral sunscreen that leaves no with cast, and will protect your face very effectively while using a retinol product. If your skin or eyes are sensitive, I think you’ll be happy with this sunscreen. In my opinion, just about anyone is a good candidate for a retinol cream. Anyone with aging skin, rosacea sufferers, those with hyperpigmentation, or uneven skin tone and even those wishing to reduce the appearance of surgical scars will see some great benefits of Retinol. If you start using them when you hit 30, your 60-something self will thank you – but no matter how old you are now – it’s never too late! I hope this article provided you some practical information to help you on your search for a new retinol treatment (whatever age you are! ).